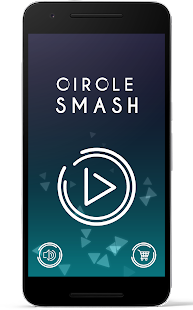 Sit back, relax and tap your mobile screen to smash the circle. It’s a great fun kill 10-15 minutes of your time. Your goal is to shoot the protected Core (dot) in the middle of the circle. 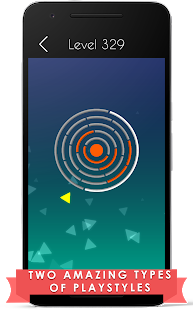 Shoot pyramid shaped arrows at the circle and break the armour. Some circle shells are crushable, others are not. Avoid shooting the wrong shells. Can you beat challenging states of the game? 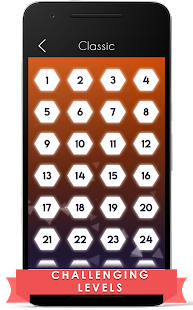 Added lots of variations in gameplay to keep you entertained. 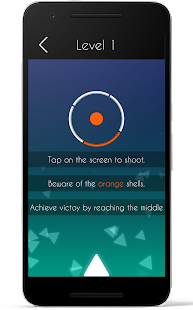 Normal Mode: Avoid and destroy the correct armour shells and reach the core. 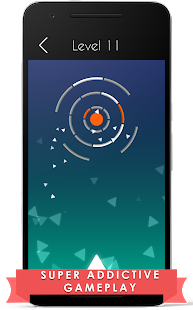 Reverse Mode: After one shell is crushed the circle starts to rotate in another direction. 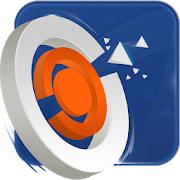 Crushing Mode: Advance circle by circle. The next ring is activated after terminating all shells in the ring.